For a more comprehensive solution that will let you generate, accept and exchange XML (and other types of message) with your trading partners, see our EDIHub Datasheet. Why create XML files on your system i? Why create an XML file? Because the use of XML, for a wide variety of purposes, is becoming increasingly widespread and the ability to generate XML from spooled files and database files is likely to be a major advantage to any system i shop that wants to trade electronically in the future. 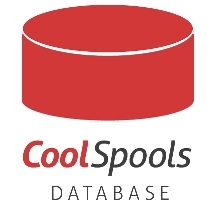 CoolSpools lets you create XML files from your system i data right on the system i itself. Is the data you need to interface only available from a report produced by a system for which you have no source? No problem, just tell CoolSpools about the report, where the data is and what it means, and it will produce the XML for you! You can even split your report up automatically into separate files, maybe one per department or region, give each file a meaningful name and distribute or email it to the relevant people automatically. 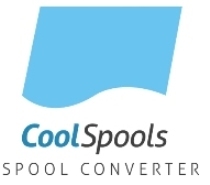 For this, you need CoolSpools Spool ConverterWhy not download it now and check out the CVTSPLXML (Convert Spooled File to XML) command? Also produces: Excel, PDF, CSV, HTML and text output. Alternatively you can save the output from a Query, QM Query or SQL as an XML document! For this, you need CoolSpools DatabaseWhy not download it now and check out the CVTDBFXML (Convert Database File to XML) command? Also produces: Excel, CSV, HTML and text output. Both of these product options let you enhance the appearance of your XML output using styles to apply color, fonts, borders etc. You can either use your own stylesheet or have CoolSpools generate a CSS or XSLT stylesheet for you. You can also either associate your own schema with the XML you produce or have CoolSpools generate a DTD or XSD schema for you.